Warrington based entrepreneur Jen Perry, who runs Room Forty, a mobile Afternoon Tea Emporium and Mobile Baking School, has been selected by Cabinet Office to be the face of Small Business Saturday 2018 for the North of England. Her business founded in 2016 will serve as the small business case study. Small Business Saturday (SBS) takes place on 1st December with a run up of themed weeks throughout November. Jen will feature in the campaign for Week 4 which will run from 26 to 30 November in the final run up to SBS. The Week 4 campaign will be themed ‘Shop Local’, encouraging audiences to support/purchase from a small business. Now in its sixth year, Small Business Saturday UK, is the nationwide campaign to support and promote the UK’s 5.7 million small businesses. Small Businesses provide the backbone of the UK economy and comprise over 99% of businesses in the UK. 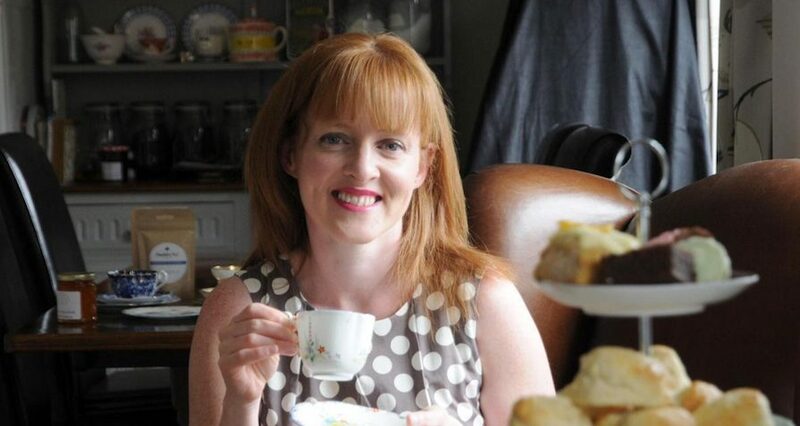 Warrington resident Jen Perry is owner, founder, soul and spirit behind Room Forty a multi- award winning business that comprises a mobile afternoon tea emporium, china hire service, supplier of bespoke canapes and mobile baking school. Although only 30 months old the business won Silver in the World Bread Awards in 2017 and won the title of Hospitality Provider of the Year at the Warrington Business Awards in June 2018. Jen was further thrilled to be listed Good Taste Magazine’s Power List of 100 Women leading the Food & Drink Industry published in April 2018. Jen is passionate about the provenance of her product. Room Forty is committed to using and sourcing local products. Jen says: “I’m so proud to be representing the thousands of small businesses in the North. At Room Forty we are committed to producing beautiful fine, handmade, unprocessed food. We are passionate about the provenance of our product and shop local when and wherever we can. Our meat and eggs come from our local butcher, our fruit, vegetables and cheese we get from the market and we use Cheshire Tea. Even our flour is from Cheshire millers.